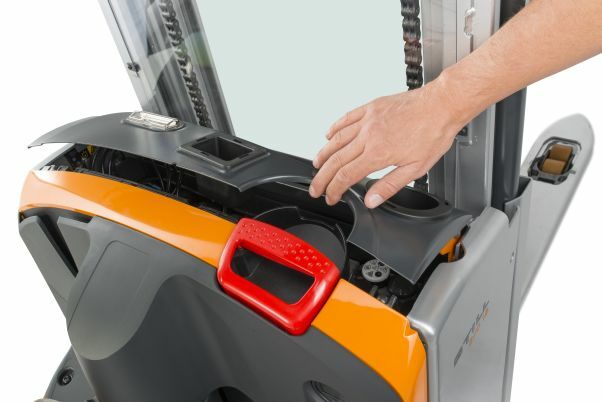 EXD 18 – Twice the flexibility and efficiency. 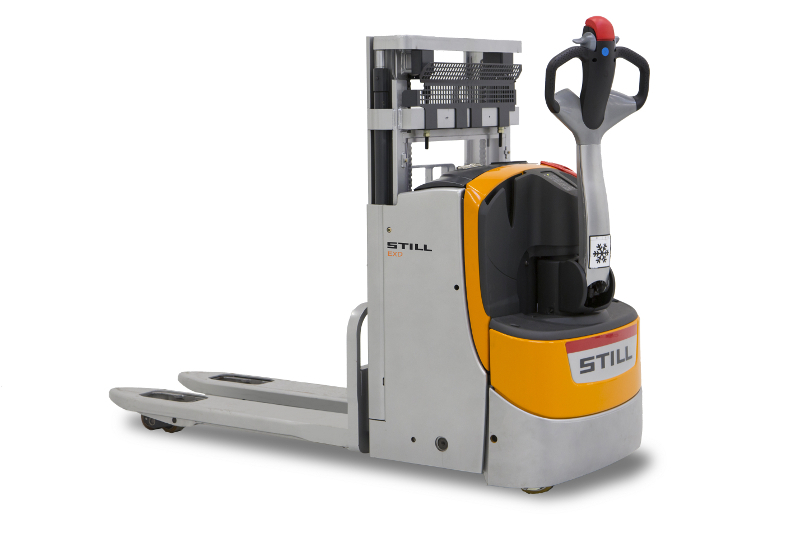 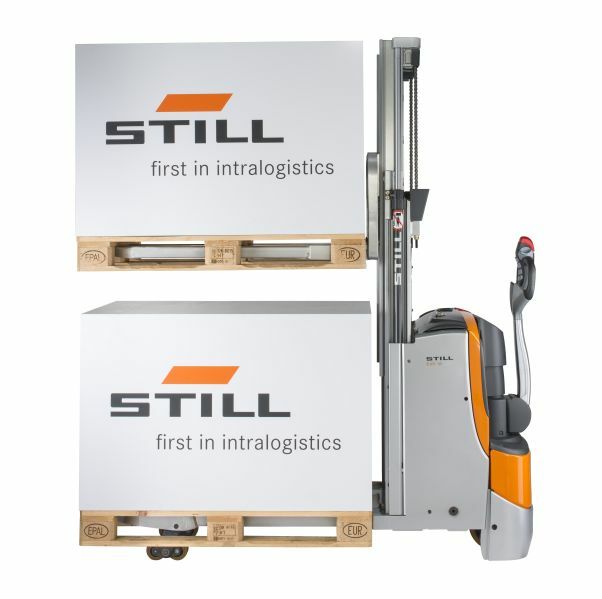 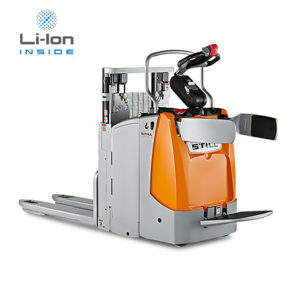 The EXD 18 double deck high lift pallet truck is a real allrounder. 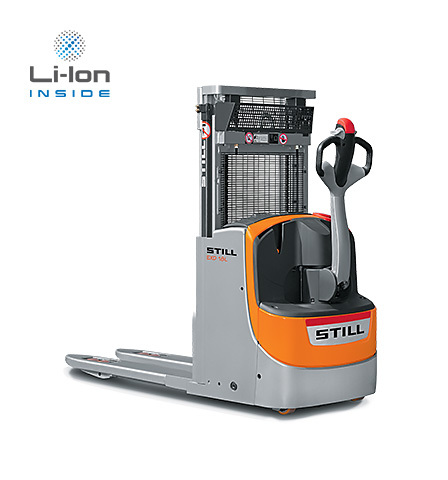 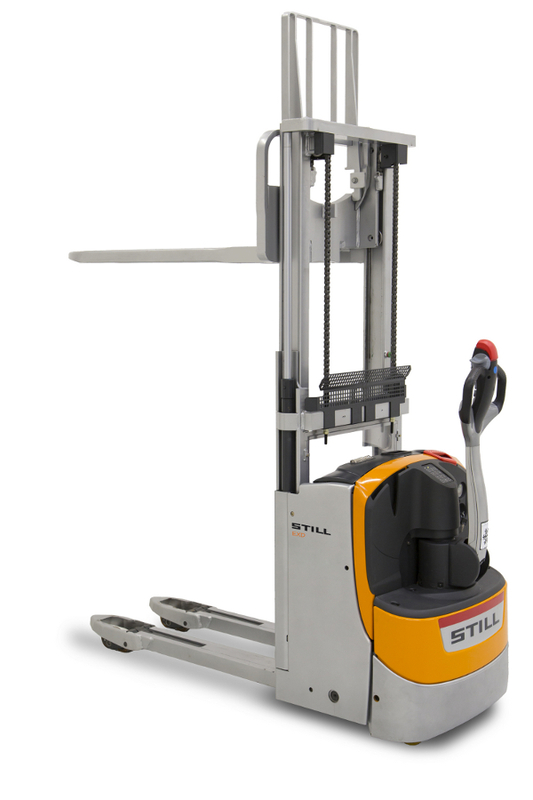 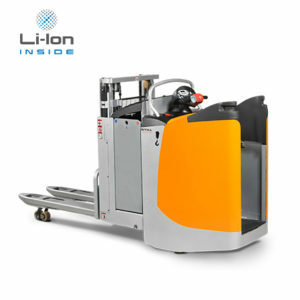 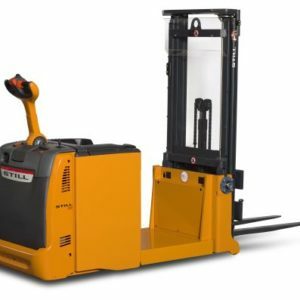 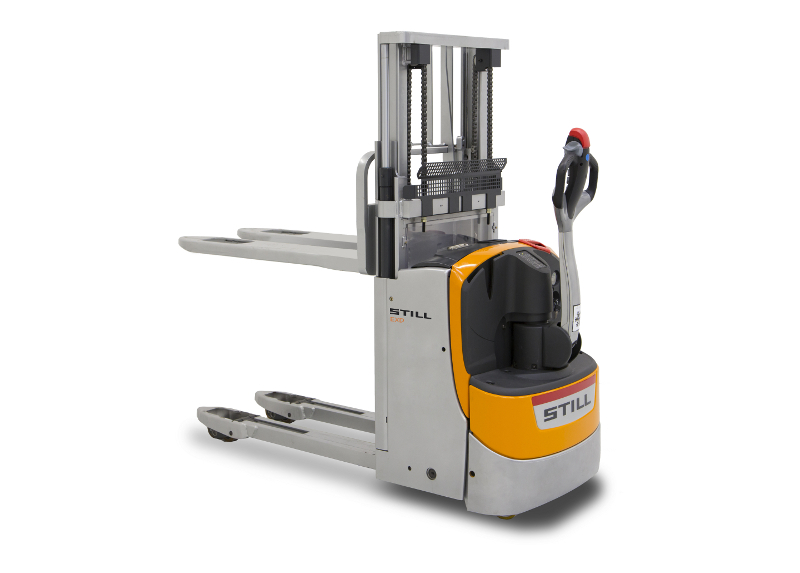 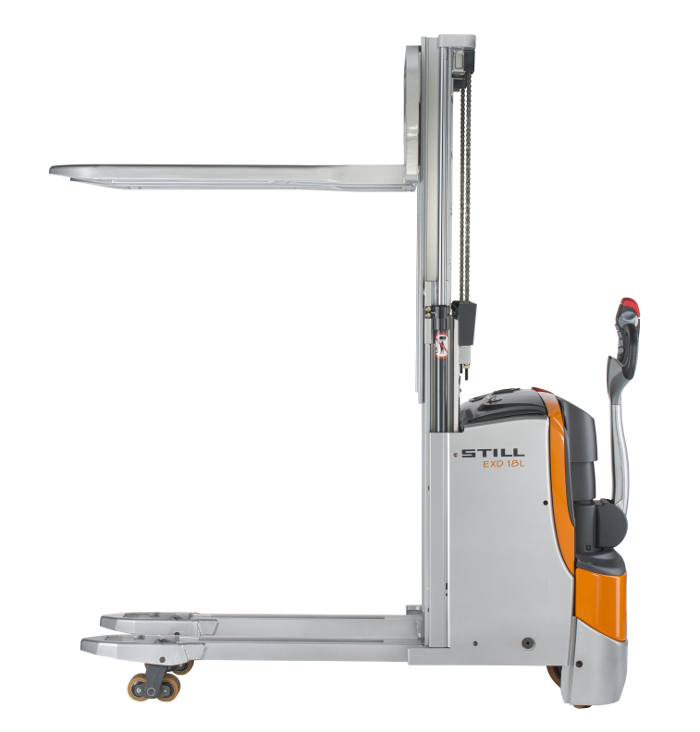 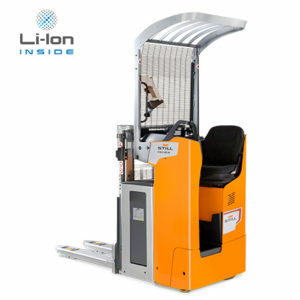 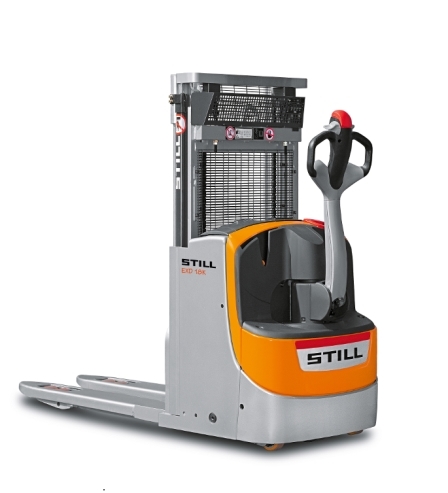 Used as a low lift truck, it lifts loads weighing up to 1,800 kg. 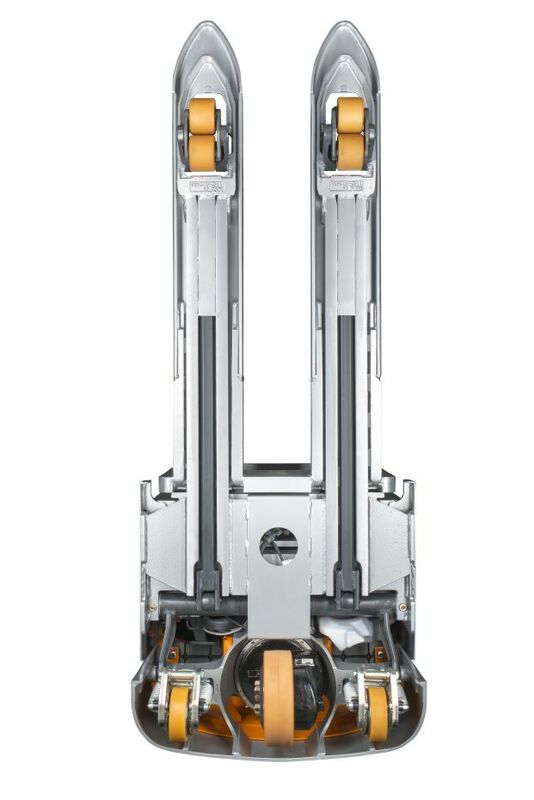 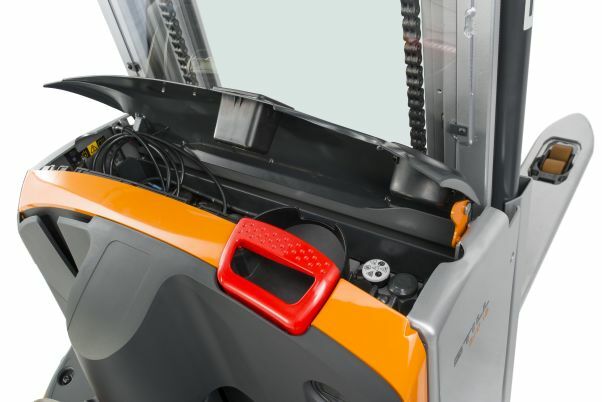 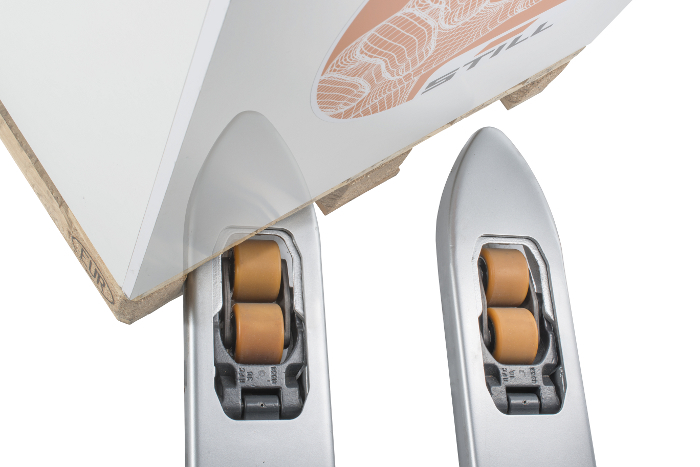 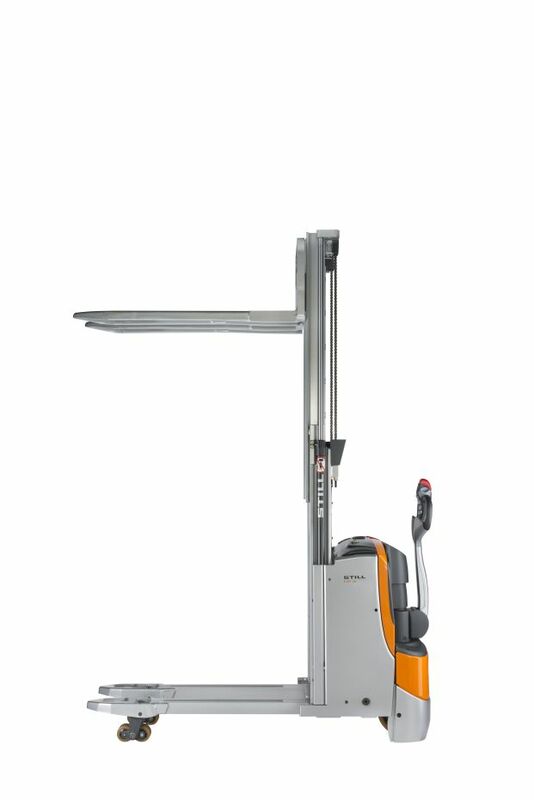 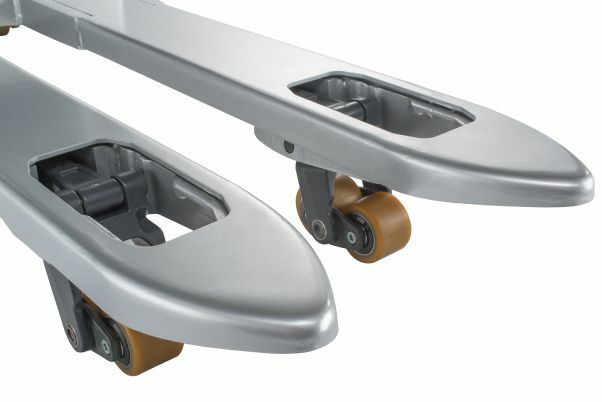 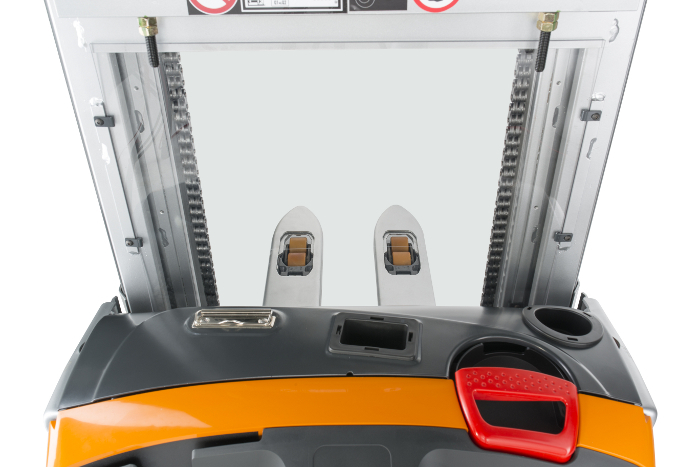 In double deck mode, the compact and agile truck lifts 1,000 kg on the load arms and 800 kg on the forks. 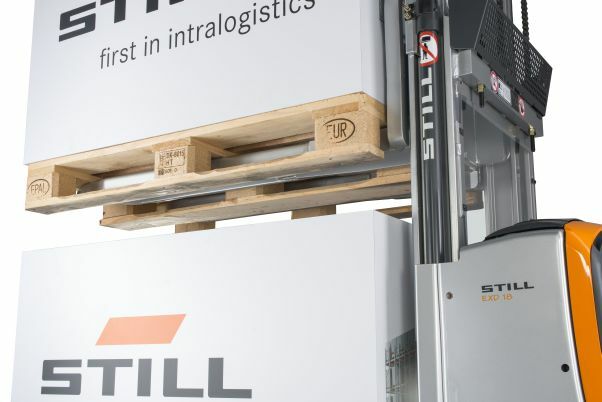 In this way, you can load and unload lorries twice as fast and speed up order picking work noticeably. 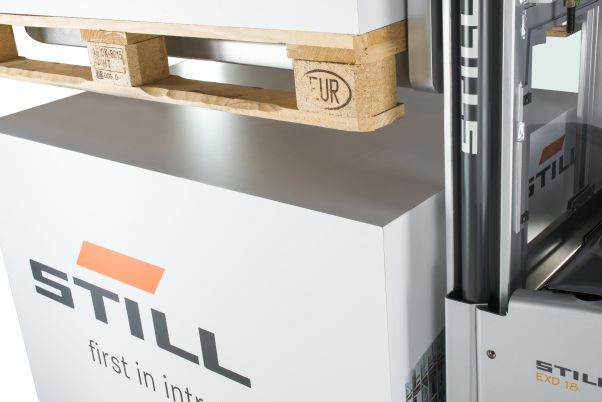 Pallet stacking becomes easier and more reliable due to the rounded fork tips. 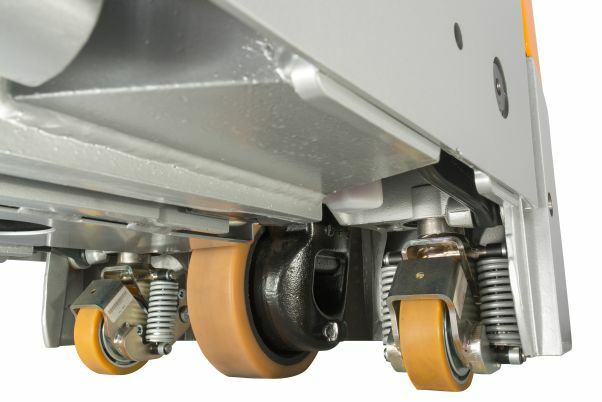 The OPTISPEED tiller adjusts the speed automatically according to your distance from the truck and allows maximum freedom of movement. 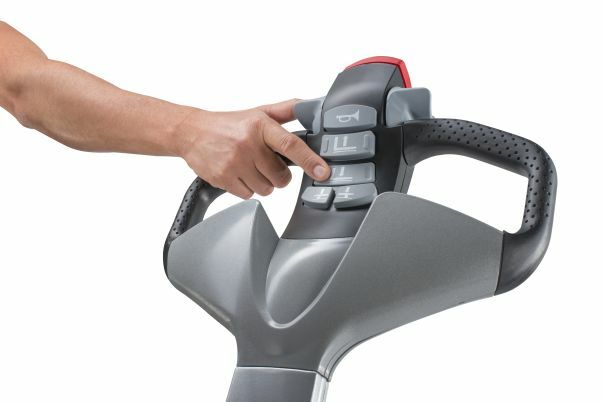 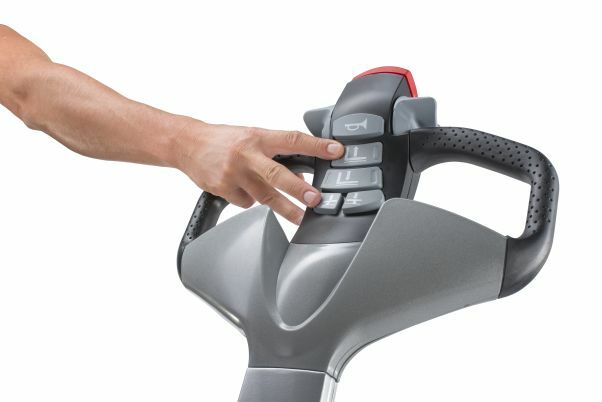 You can operate all functions with one hand, no matter which one. 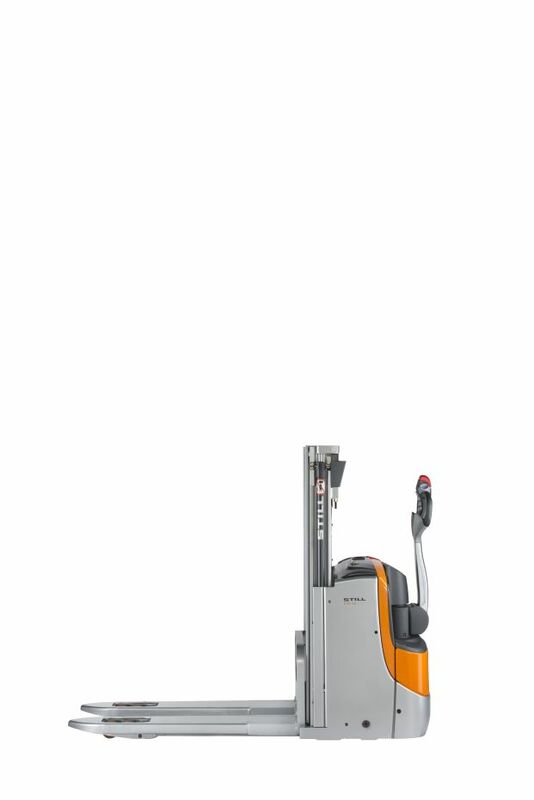 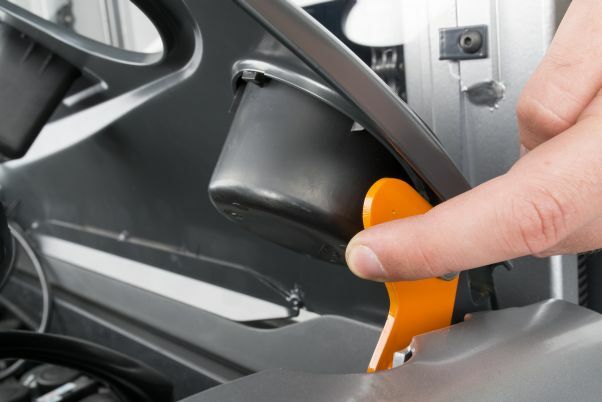 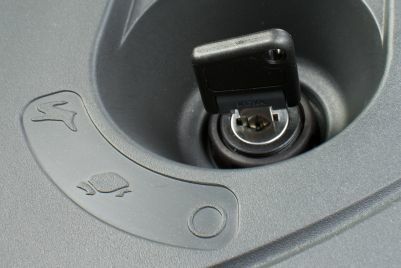 The EXD 18 is available in two versions: the EXD 18 K has a particularly compact length dimension, whereas the EXD 18 L comes with a more powerful battery and can thus operate up to eight hours continuously.